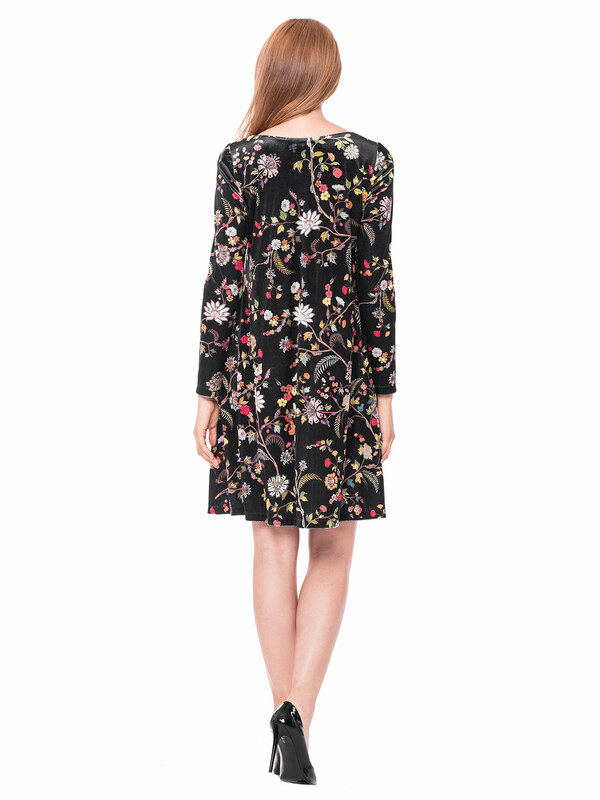 Floral dress will introduce a welcome change in your routine looks set by autumn/winter drizzly weather. The wealth of details make MARONI an appealing look. The design features a multitude of flowers. Its flared skirt is nicely finished in frills. How to have spring come back in the middle of winter? The answer is simple: pick MARONI and get a fabulous look. The dress is a loose fit made from a shiny fabric. All-present flowers offer a particularly charming side. To make it even more feminine, combine it with classic heels and a statement belt. Don’t overdo it with extra embroidery: MARONI as-is seems enough to get you a stylish look. Perhaps some subtle earrings, rings or a bracelet will do.